This numbers-matching 911T arrives on the scene with a kind of quiet sophistication and takes your breath away with its air-cooled exhaust note and classically cool interior. This is one base 911 that’s anything but basic. When we first laid eyes on this 1969 Porsche 911T, it was love at first sight. With minimal rust and body damage we knew it would be the perfect restoration candidate. 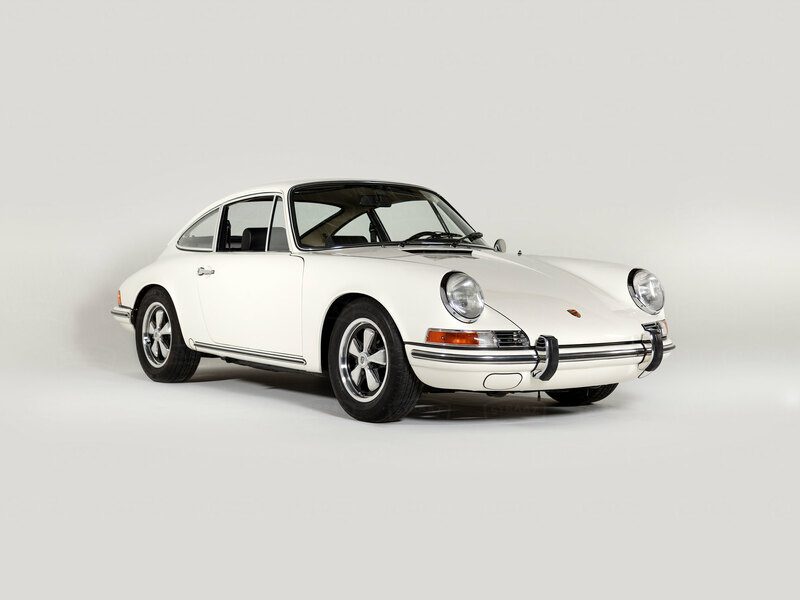 It had an air-cooled flat-six beloved by enthusiasts, and the longer wheelbase that offered improved handling for the 1969 model year. Once we got this 911 back to the shop, we stripped it down and began a comprehensive nut-and-bolt restoration. No detail was overlooked. The original engine was rebuilt to stock, the Fuch wheels were restored, and the body was perfected and refinished in Light Ivory, the car’s original shade. Black leatherette seats with Houndstooth seat inserts are a fashionable addition to the all-new interior. As with all of our 911's, the entire restoration process was documented extensively with high-resolution photos and videos. A photo book chronicling the restoration was provided to the new owner, as well as all invoices for parts acquired to restore this Porsche.